Anderson, Joel (harmonica). The Irish harmonica. J.A. Harmonicas AB, 2018. 1 CD. Band of the Irish Defence Forces, The, (instrumental group). Rhapsodic winds. RTÉ Lyric FM CD157, 2018. 1 CD. Boadle, Niamh (singing in English, guitar, fiddle, bodhrán, tin whistle, mandolin). Maid on the shore. WildGoose Studios WGSCD, 2015. 1 CD. Brady, Gráinne (fiddle). The road across the hills. Cailín Records CFM01CD, 2018. 1 CD. Burke, Kevin (fiddle, speech in English). An evening with Kevin Burke: tunes & stories. Loftus Music LM009, 2018. 1 CD. Casey, Karen (singing in English). Hieroglyphs that tell the tale. Vertical Records VERTCD113, 2018. 1 CD. Casey, Peter (singing in English). Out in the day: songs of humour from County Clare. Peter Casey 2018. 1 CD & digital download. Celtic Woman (singing in English, instrumental group). Ancient land. Celtic Woman; Manhattan Records 2577012082, 2018. 1 CD. Childsplay (instrumental group), and Karan Casey (singing in Irish, singing in English). The bloom of youth. Childsplay Records 007, 2018. 1 CD. Cúig (instrumental group, singing in English). The theory of chaos. Cúig 2018. 1 CD. Cúig (instrumental group, singing in English). Cúig. Cúig [n.d.]. 1 CD. Falls, Sheila (fiddle). All in the timing. Sheila Falls, [n.d.]. 1 CD. Fiddle Case, The (singing in English, instrumental group). Write me a letter. The Fiddle Case . 1 CD. Garadice (singing in English, singing in Irish, instrumental group). Garadice. Garadice GA2018-01, 2018. 1 CD. Gavin, Frankie (fiddle), Martin Murray (banjo), Emma Corbett (accordion), and Carl Hession (piano). By heck: a toast to the 1920s. GMCH Music 001, 2018. 1 CD. Gavin, Frankie (fiddle), and Alec Finn (bouzouki). Traditional Irish music on fiddle and bouzouki volume II. [Frankie Gavin], 2018. 1 CD. Gavin, Frankie (fiddle) and De Dannan (instrumental group, singing in English). Jigs & jazz II: Galway Arts Festival special edition: recorded live at McGrory's Culdaff. Frankie Gavin & De Danann, 2013. 1 CD. Here and Now, The (singing in English, instrumental group). The winding stair. The Here and Now, [n.d.]. 1 CD. Here and Now, The (singing in English, instrumental group). Ladybird. The Here and Now, [n.d.]. 1 CD. Ímar (instrumental group). Avalanche. Big Mann Records BMANN003, 2018. 1 CD. James, Jake (fiddle). Firewood. Jake James 2018. 1 CD + digital download. McAnally, Chad (harp) and various (singing in Irish, instrumental music). Ó Cearbhalláin: Rí na nDall = O’Carolan: King of the Blind. Gaelic harp, song, fiddle, flute, viola da gamba. Chad McAnally 2018. 1 CD. McAnally, Chad (harp). Of bards and beggars: original and traditional music for Gaelic harp. Chad McAnally NP6129, 2011. 1 CD. McAnally, Chad (harp, tin whistle, flute). Chasing the winter sun: traditional Christmas music on the Gaelic harp. New Folk Records; Chad McAnally NFR9762, [n.d.]. 1 CD. McAnally, Chad (harp, tin whistle) and Shawn McBurnie, (singing in English, singing in Irish, bodhrán, shruti box). Blackbird from the willow sings. Chad McAnally; Shawn McBurnie NP2292, 2011. 1 CD. McGuire, Manus (fiddle). The Copperplate Sessions. Manus McGuire 2018. 1 CD. Molloy, Matt (flute). Back to the island. Matt Molloy MM005, 2018. 1 CD. O’Connor, Gerry (fiddle). Last night’s fun. Lughnasa Music LUGCD966, 2018. 1 CD. O’Neill, Lisa (singing in English, guitar, banjo). Heard a long gone song. River Lea Recordings RLR001CD, 2018. 1 CD. O'Rourke, Declan (singing in English, guitar, speech in English). Chronicles of the Great Famine. Maiesta Music MM112, 2017. 1 CD. Possumato, Dan (accordion). The last pint. Dan Possumato; Old Box Records OBR005, 2018. 1 CD. Rynne, Davóg (singing in English, guitar, bodhrán, tin whistle). Talk to me. Davóg Rynne DR2017/1, 2017. 1 CD. Seery, Enda (flute, tin whistle, piano). Raining notes: Irish traditional music on flute and whistle. Enda Seery ESTWCCD03, 2018. 1 CD. Slow Moving Clouds (instrumental group). Starfall. Slow Moving Clouds SMC003, 2018. 1 CD. This is How we Fly (instrumental group). Foreign fields. This is How we Fly; Playing with Music PWM21, 2017. 1 CD + digital download. Various (vocal music, instrumental music). Naiade Productions: booking agency. World music = Musique du monde: Irlande, Bretagne, Turquie. Naiade Productions, [n.d.]. 1 CD. Various (instrumental music, vocal music). Tønder Festival 2017. Tønder Festival; Millstream Records MIL-CD-2017, 2017. 2 CDs. Various (instrumental music, singing in English). We are Ireland: emerging Irish music traditional and folk. Culture Ireland, [n.d.]. 1 CD. Beiner, Guy. Forgetful remembrance: social forgetting and vernacular historiography of a rebellion in Ulster. Oxford: Oxford University Press, 2018. xviii+709 pp. ISBN 9780198749356. Bixler, Heather Ann Martin. “Meeting at a crossroad: traditional Irish music and classical music taught in the same space.” PhD thesis, University of Memphis, 2015. Online thesis. Bourke, Angela and Diane Negra. "The Gaeltacht, the Irish language, folklore and vernacular creativity." Discussion paper 3, Royal Irish Academy, [January 2019]. Byrne Bodley, Lorraine. "'The earth music for those who listen': creativity in music in Ireland." Discussion paper 2, Royal Irish Academy, [January 2019]. Collins, Tim . “Take off yer boots’: céilí bands, 2RN and sounding the nation.” The Irish review no. 54 (2018): 23–34. Dunphy, Eugene. “A hundred years in 'The foggy dew.’” History Ireland 27, no. 1 (2019): 32–36. Jordan, Andrea Harris. “House around Irish music: past and present in discourses of Irish music from the nineteenth to the twenty-first century.” PhD thesis, University of Chicago, 2015. Online thesis. King, Angeline. 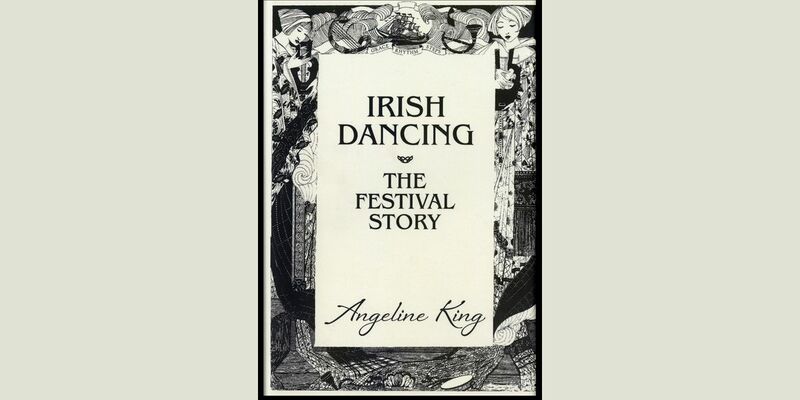 Irish dancing: the festival story. S.l. : Leschenault Press, 2018. ii+355 pp. ISBN 9780648407584. Lönze, Holger. “Exploring the alchemy of sound.” Archaeology Ireland 32, no. 4 (2018): 33–5. Mac Póilin, Aodán. Our tangled speech. Belfast: Ulster Historical Foundation, 2018. 352 pp. ISBN 9781909556676. McCann, Anthony. “A tale of two rivers: Riverdance, A river of sound, and the ambiguities of “tradition.”” In Irish Ethnologies, ed. Diarmuid Ó Giolláin, 203–219. Notre Dame: University of Notre Dame Press, 2017. ISBN 9780268102401. Merryweather, James. “The Irish piping pig stamp. “ Chanter 32, no. 4 (2018): 9–13. Mollenhauer, Jeanette. “Dance in diaspora: the politics of practice.” Conference paper at Dance Research Forum Ireland Conference, Limerick, June 2018. Online paper. Mollenhauer, Jeanette. “Michael Charles Purtill (1846–1914): an Irish step dancer in Sydney.” Australasian Journal of Irish studies (October 2018). Online article. Ó Conchúir, Fearghus. “Féile failte: dancing out of place.” The Irish review no. 54 (2018): 52–68. Ó Suilleabháin, Mícheál. “The redress of music: music, mediation, and parity of esteem.” Yearbook for traditional music 50 (2018): 1–15. Rayl, Marina. “Finding identity through Irish music in the Appalachian Mountains.” MA thesis, Liberty University, 2018. Online thesis. Schreffler, Cara R. “Motivation and identity in an American Irish music community.” PhD thesis, University of Colorado, 2017. Online thesis. The Journal of Music. “‘Over the last 15 years, the numbers have really increased’: telling the story of women uilleann pipers.”(16 January 2019). Online article. Till, Karen E. “Waiting 'For the city to remember’: archive and repertoire in ANU Productions and CoisCéim dance theatre's 'These rooms.” The Irish review no. 54 (2018): 34–52. Toms, David. “Snapshots of a free state.” History Ireland 27, no. 1 (2019): 40–44. Wallace, Sharon Anne. “Psyche’s homeplace: a depth psychological exploration of music-making in the Irish community tradition.” PhD thesis, Pacifica Graduate Institute, 2015. Online thesis. Tom Davis Collection. 17 reel-to-reel tapes from an extensive collection collated by Tom Davis during the 1960s–2010s. Donated by Eleanor Davis. Mick Dooley Collection. Audiovisual field recordings of the West Limerick Singers' recorded by Mick Dooley in August & September of 2018. Donated by Mick Dooley. Assorted commercial LPs & 78rpm records. Donated by Éamon MacDonnell. Anne Barry, Rebecca Draisey-Collishaw, Ray Duffy, Sheila Keenaghan, Peter Laban, Frances Oakley, Bryan O'Connell, Dan Possumato, Tom Sherlock, Nancy Woods.